Before joining the FCS staff in 2013, Hannah’s 12-year career in communications centered around the architecture industry, including as the founding managing editor of Architect magazine, in which she wrote about ethical issues in the profession. Hannah was also the founder of the Fenton Street Market, an arts and crafts market in Silver Spring. A D.C. native, she credits her formative years at a progressive school, Edmund Burke, for fostering a love of inquiry and writing. With three children enrolled at FCS (Jonah, Isaac, and Rachel), Hannah is on an anticipated 14-year journey as an FCS parent. 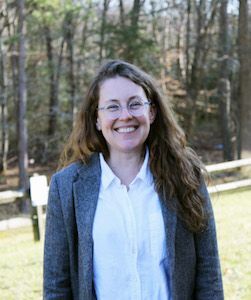 She currently serves on the FCS Head Search Advisory Committee as well as the Board of Directors at Highwood Theater in Silver Spring.